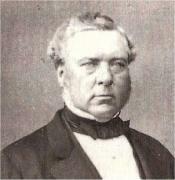 Eric Dodds was educated at Campbell College, Belfast, in Scotland, Dublin, and at Balliol College, Oxford. He taught classics in Reading and Birmingham Universities, and from 1936 to 1960 held the Chair of Greek at Oxford. He was also President of the Society for Psychical Research from 1961 to 1963, and during the 1960s was a lecturer on Swan's Hellenic Cruises. He was a friend of Auden and of Stephen McKenna, whose Journals and Letters he edited. He was Louis MacNeice's literary executor and friend and edited The Strings are False and the Collected Poems. His own books include Select Passages Illustrating Neoplatonism in 1923, The Greeks and the Irrational in 1951, The Ancient Concept of Progress and Other Essays on Greek Literature and Belief, 1973. His autobiography, Missing Persons, won the Duff Cooper Award in 1979.